Seven years ago this month Lance Corporal Kyle Carpenter suffered grievous wounds after shielding another Marine from a grenade blast in Afghanistan. Somehow, he survived. This is the story of his remarkable recovery. 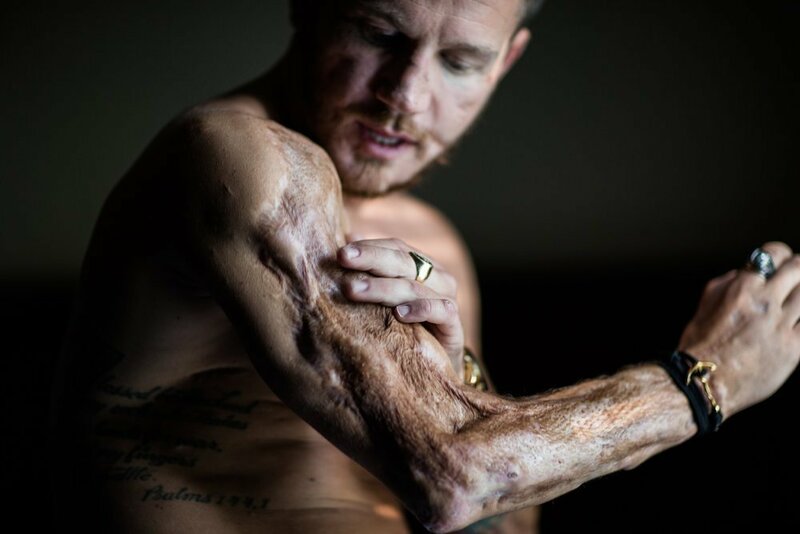 The thick steel body of the grenade flexed and swelled before exploding and tearing flesh and bone from Lance Corporal Kyle Carpenter’s face. The date was November 21, 2010. The place was Marjah, Afghanistan. For seven days, the extent of Carpenter’s wounds remained a mystery to his family. 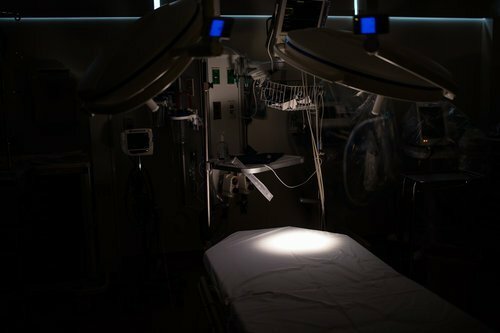 Despite e-mails, voicemails, and calls with Marine Corps representatives, his mother and father knew only that their son was being evacuated from Afghanistan in critical condition. The military told them that Kyle had been badly wounded and that his chances of survival were unknown. On November 25, Thanksgiving Day, Robin and Jim Carpenter drove 12 hours, slowed by the holiday traffic, from Gilbert, South Carolina, to Walter Reed National Military Medical Center, in Bethesda, Maryland, to await their son’s arrival. His flight was delayed because of blood clots in his legs. A flight at high altitude could have killed him. Carpenter arrived at Walter Reed on Sunday, November 28. Robin held his hand all the way from the ambulance to the elevator taking him to the intensive-care unit. Carpenter’s head appeared roughly double its normal size—it was wrapped in gauze and pressure dressings to deal with the effects of the explosion and the aftermath of emergency brain surgery. The doctors in Afghanistan had to remove shrapnel before Carpenter could be flown to Landstuhl, in Germany, and then to Walter Reed. Tubes protruded from his neck, head, chest, abdomen, and each of his limbs. 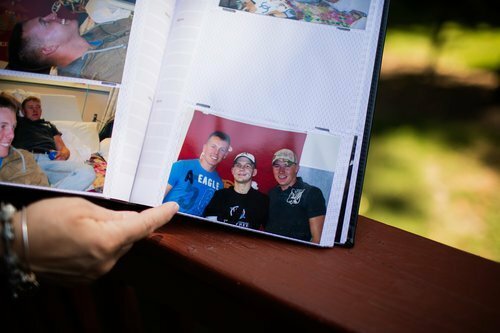 The Carpenters had not seen their son in four months. 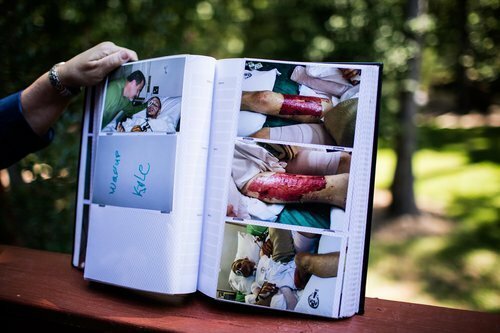 His mother remembers thinking that Kyle looked worse than anything she had seen while working as a radiology technician in a trauma hospital. She knew it was Kyle only because the hospital staff told her it was. Kyle Carpenter had been wounded when a hand grenade landed beside him and a fellow Marine in their lookout post. Without hesitation, Kyle lunged toward the explosive to shield his friend from the blast. He was wearing body armor, which offered some protection for his torso, but the exploding grenade left entry and exit wounds in his skull, shredded his face, severed major arteries, splintered his right arm, collapsed a lung, and left him hemorrhaging beneath a plume of grey smoke. For his action in Marjah, Carpenter would be awarded the Medal of Honor. 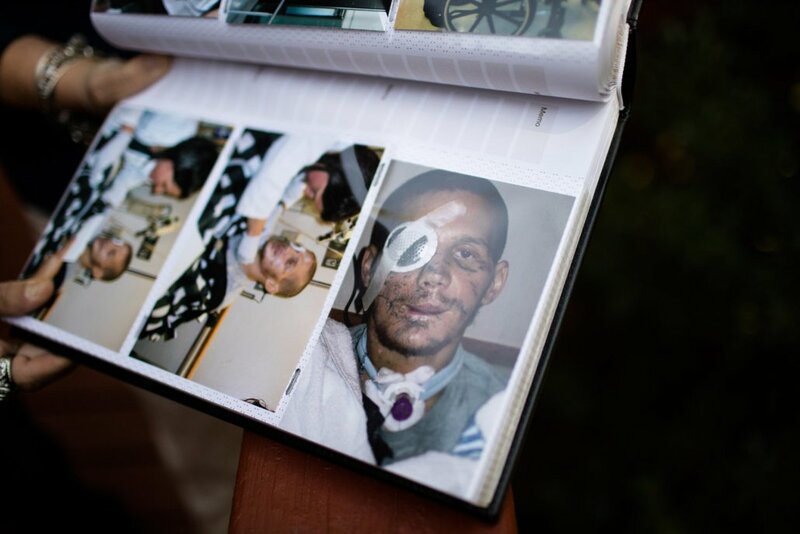 Repairing the damage to his body would take years, and in some ways it is not over. This is the story of Carpenter’s recovery. The squad of Marines had spent the night of November 20 patrolling open fields and deep canals. Doing so was safer than using the roads. 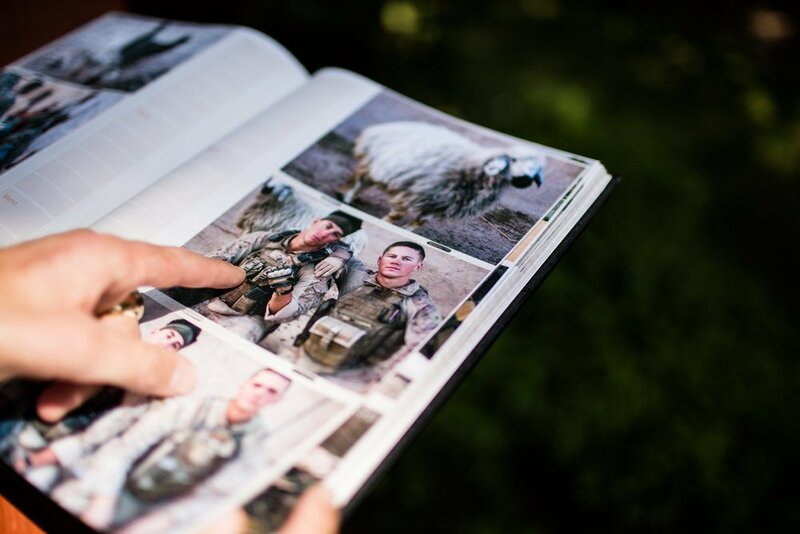 The men were four months into a seven-month deployment, and Private First Class Jared Lilly had already seen two of his friends killed by explosives. Others had been wounded by gunfire. Lilly and his 1,000-man unit were spread across fortified bases inside Taliban territory. That relative comfort and safety was now at an end. Lilly and the rest of his 14-man squad had just moved to an even more remote and dangerous location. 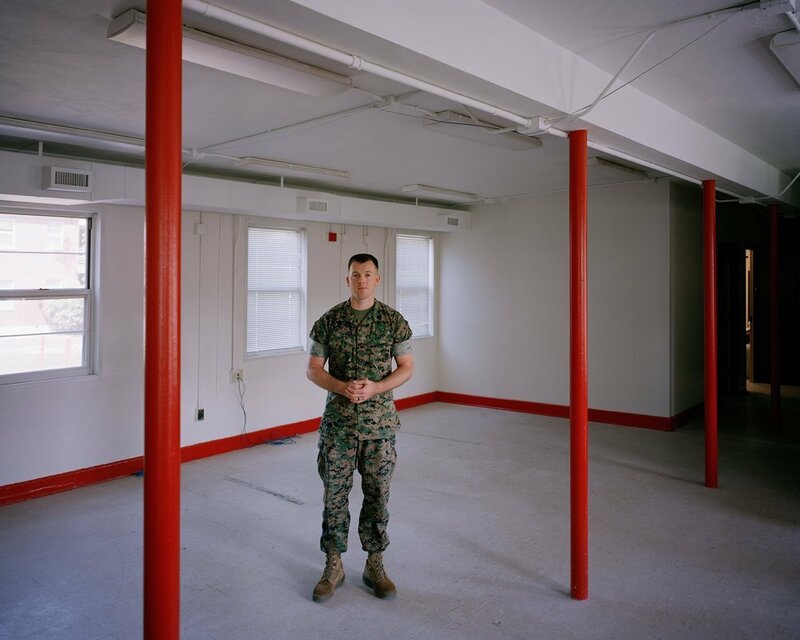 In a village, the Marines took over a compound—a collection of buildings behind 10-foot-high mud walls—to use as its patrol base, which they called Dakota. The compound had been commandeered from a local family, which was evicted. Before sunrise, more than 250 sandbags had been hand-filled and stacked into makeshift guard posts. A request for heavy equipment to fortify the new patrol base had been denied hours before the mission began. Instead, the Marines chiseled at the ground with collapsible shovels. There were walls at Patrol Base Dakota, but the enemy could maneuver within 30 yards of the Marines unseen. A canal ran alongside the compound, lined thickly with tall reeds. 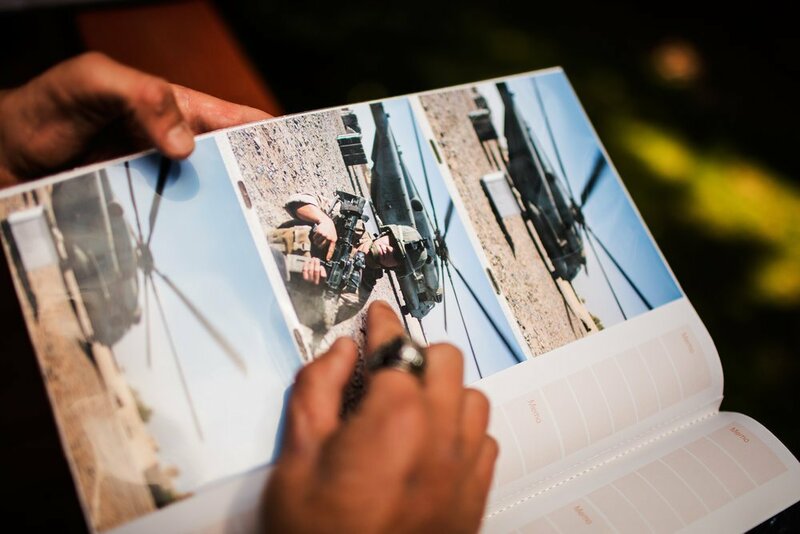 On the first day the Marines spent at Dakota, Taliban fighters heaved grenades over the walls. One Marine took shrapnel to his abdomen. Another had his scrotum peppered with shards of metal. 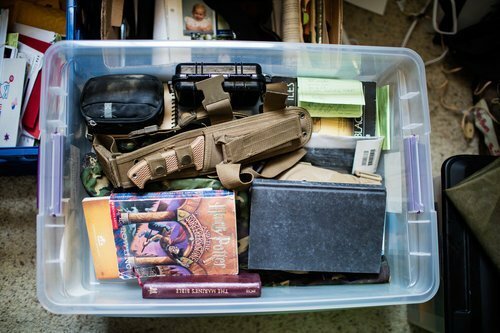 Later that night, the owner of the compound came for some of his belongings. He brought a message from the Taliban: Tomorrow the Marines would be attacked worse than they just had been. 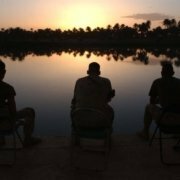 Sunrise brought machine-gun and sniper fire. A barrage of grenades began exploding throughout the courtyard. Marines who were sleeping scrambled to put on their gear. There was a second barrage of grenades, then screaming in Pashtu: an Afghan soldier had been wounded. Two more grenades exploded in the courtyard. Then another grenade. Then another. The last of the explosions came from the rooftop of one of the buildings. Two Marines were known to be there. Lilly sprinted to the building and up the rungs of a wooden ladder, charging into the dust and smoke. Lance Corporal Nick Eufrazio was lying on his back. He had been hit by shrapnel and appeared to be unconscious. In a corner, Kyle Carpenter lay face down in a widening pool of blood. Lilly reached for his arm. It squished limply in his hand. Carpenter’s face was torn into four separate flaps of flesh. Lilly placed tourniquets on each of Kyle’s arms. One of them was so badly mangled that Lilly worried he would cinch down too tight and “pop his arm right off.” Carpenter gasped for breath, his chest heaving. The squad’s Navy medical corpsman, Christopher Frend, had treated many casualties before, but had never seen anything like Carpenter. His arm was so shattered that Frend felt as though he was splinting a wet rag. Carpenter’s right eye had nearly fallen from its socket. The corpsman inserted a tube through a nostril hoping it would help Carpenter breath. It didn’t. When Frend removed the tubing, Carpenter sprayed teeth, flesh, blood, and mucus from his nose. He was trying to speak. His tongue seemed to be searching for the rest of his jaw. He was asking, “Am I going to die?” The Marines on the triage team began reminding Kyle of stories he had told them about life at home. The more they talked about his family, the more stable he became. The rotors of the medical evacuation helicopter thumped in the distance as it flew toward Patrol Base Dakota. Lilly and four others carried the wounded to the landing zone on nylon sheets. Lilly thought he’d never see Carpenter alive again. He heaved his helmet across the patrol base and sat with his back against the wall. Tears dripped onto his cigarette. 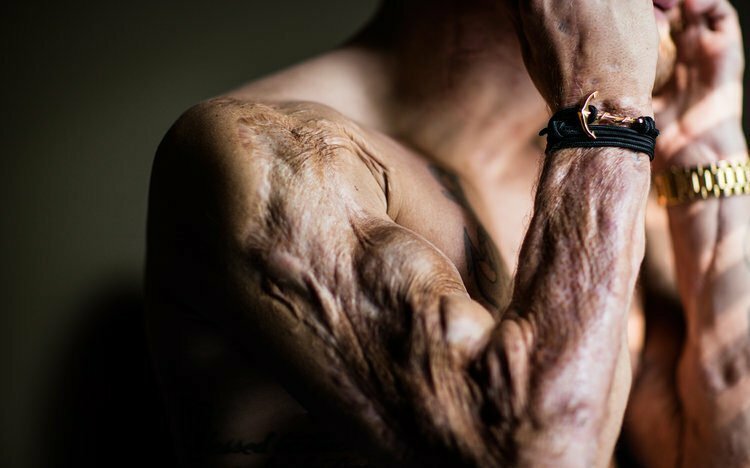 Other Marines began cleaning off the blood on his skin and uniform with baby wipes. Aboard the helicopter, the medics triaged Carpenter’s wounds. When his heart stopped, the team worked to revive him: chest compression, fluids, drugs. There was a heartbeat—and then it was gone. Once more he was revived, and for the moment stabilized. Upon arrival at Camp Bastion, Carpenter’s admission code was given as “P.E.A.,” the military acronym for Patient Expired Upon Arrival. But he wasn’t P.E.A. at all. Neurosurgeons removed shrapnel from his brain. Vascular surgeons repaired his veins and arteries. Torn flesh was stretched and sutured; nothing cosmetic—that could wait. Stopping blood loss and preserving tissue was more important. Carpenter was wrapped in pressure dressings and stiffened with splints. The medical team’s goal was to get him stable enough to fly to Germany and then to the United States. The medical staff at Walter Reed could rebuild him. He just needed to stay alive until he got there. On Thanksgiving, Carpenter was cleared to fly to Germany. Only after he arrived at Landstuhl was his mother able to speak to her son. Carpenter was in a medically induced coma, and his state of awareness is unknown. But a nurse held a phone to his ear when Robin and her family called. They remember the nurse telling her that Kyle’s heart raced on the monitor every time she spoke. The flight from Germany took more than 12 hours. At one point Craig went into cardiac arrest. Doctors re-started his heart as the aircraft descended by 10,000 feet to help increase cabin pressure. Craig and Carpenter survived the flight, and after landing at Dover Air Force Base, in Delaware, they were loaded into ambulances. Miller stared out the back window of the one carrying Ryan, blue and red lights flashing in the darkness—mother and son speeding toward a recovery that is still ongoing today. She could see Carpenter’s ambulance behind theirs, the white and yellow lines of the highway trailing behind. Police blockades closed off intersections as the ambulances sped toward Walter Reed. Walter Reed’s chief of trauma surgery is Dr. Debra Malone. She prepared to evaluate Kyle. When a patient arrives, Malone explained, treatment starts over. The medical team ordered a full body CAT scan. 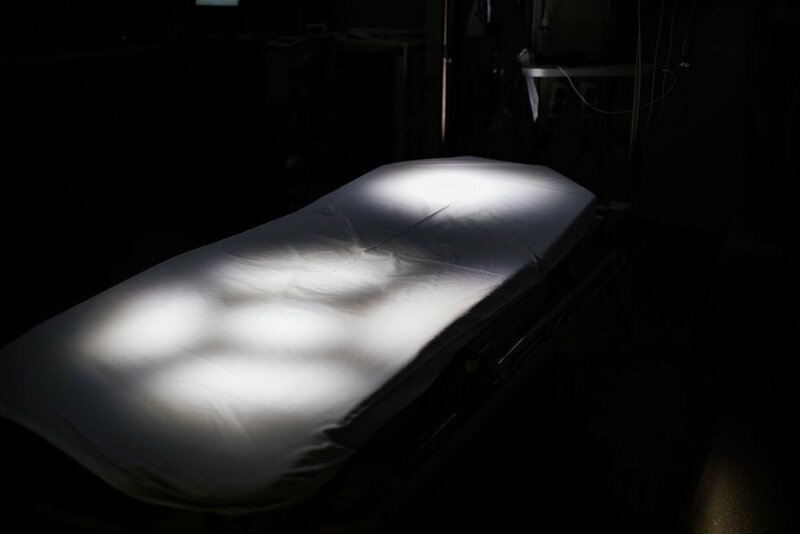 An angiogram was administered to gauge whether the blood flow to the injured parts of his body was sufficient. Because Kyle had been revived twice during his medical evacuation, and because he had been given 12 pints of blood, the team wondered how much more his immune system could withstand. Dozens of x-rays were taken before his treatment strategy was presented to orthopedic, vascular, reconstructive, and trauma surgeons. During the weeks and months ahead, Robin made her home in the waiting room. Jim had gone back to South Carolina—to his job as a poultry salesman and to the couple’s two other sons, Price and Peyton, both teenagers. A woman named Janine Canty introduced herself to Robin upon Kyle’s arrival and grew close to Kyle and his family. She wasn’t a doctor, nor was she part of the staff at Walter Reed. She was a case manager with the Semper Fi Fund, a nonprofit assistance organization that helps wounded, ill, and injured Marines and sailors. Her husband was a Marine with 27 years of service. By the time she met Robin, Canty had been with the Semper Fi Fund for just over four years. In the beginning, Janine didn’t know where to look or what to say when she walked into a patient’s room. With time, she became more comfortable asking patients about their injuries—above or below the knee or elbow, closed or penetrating brain injury. She also became more comfortable asking families if they needed financial help. Being around pain, injury, and suffering had somehow become normal for her, Canty said, but the moments of success and hope made all of it worthwhile. 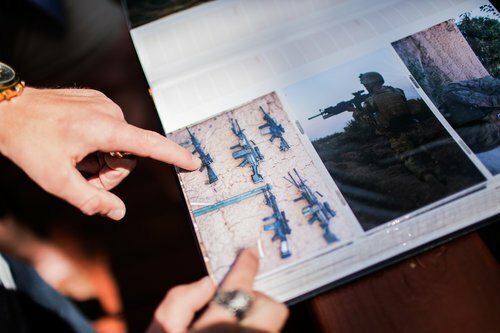 Families worry about finances when a service member is wounded. Support allows a family to focus on recovery. For Robin and Jim, the assistance helped them to travel back and forth between home and Washington—one of them always with Kyle, the other with the rest of the family. 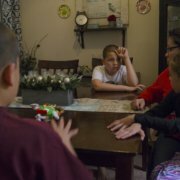 “I can’t imagine there being another choice—to be apart—because there were two boys at home and somebody had to raise them,” Canty said. Carpenter was in surgery almost weekly. Orthopedic surgeons repaired his bones. Malone repaired his soft tissue. Other surgeons applied and repaired skin grafts. Carpenter was treated with leeches to control blood pooling under the skin. Because his head had borne the brunt of the blast, dirt and debris were embedded in Carpenter’s face. Malone referred to the damage as “mud tattoos.” It would take months of reconstructive surgery and laser treatment to remove it all. The medical team focused on small successes as a way of boosting morale. Carpenter himself lived in “a haze of drugs,” as Malone described it. Malone stood by Carpenter when he took his first steps in the hospital. “When a wounded warrior is about to get out of bed for the first time,” she said, “everybody knows it is going to happen. We line the hallway and when they step out of their room we ring a bell and cheer.” Carpenter was in pain, but he kept walking. Yellow foam cubes encased his right arm, which itself was held together with hundreds of screws and dozens of plates. Carpenter circled the nurse’s station with nearly the entire wing in tow. Chimes echoed throughout the hall. Carpenter would remain at Walter Reed for another year. Robin rarely left. She missed the birthdays of her husband and of her other two boys. She missed sports championships, first dates, family dinners. Throughout Carpenter’s recovery, Robin and Jim would on occasion meet in Dunn, North Carolina, roughly halfway between their home and Walter Reed. Dinner, a kiss, and then off on their separate ways. Sometimes it was Jim who went north to be with Kyle, Robin heading south for a spell at home. 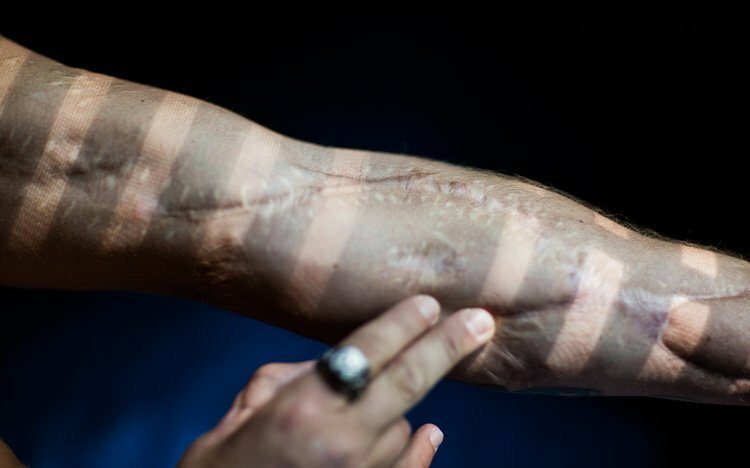 Many years before Carpenter was wounded, Erik Johnson had himself been a patient one infection away from death. It was 1997 and he was about to deploy to Bosnia as an Army private. He had been driving a military vehicle with other soldiers when one of the tires ruptured and sent the truck flipping end over end. The truck came to a stop when it struck a street sign and burst into flames. Johnson and another soldier were trapped inside. 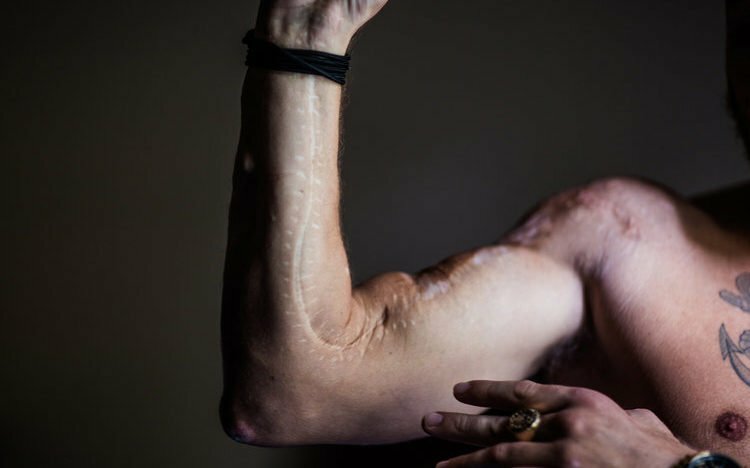 His arms and half of his face suffered third-degree burns. The other soldier died. 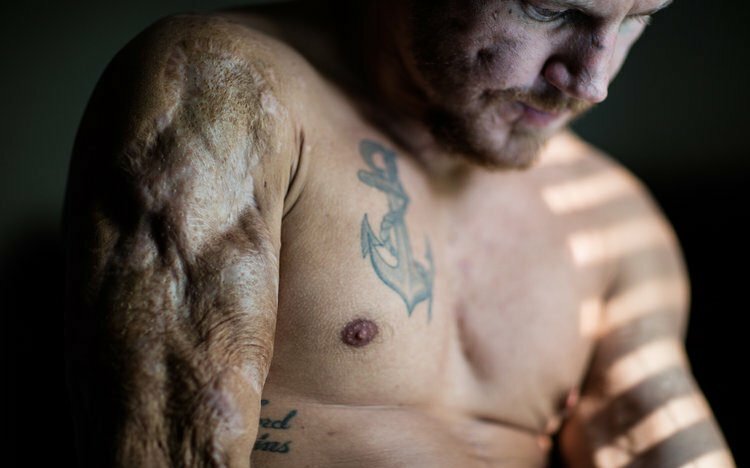 Johnson endured months of recovery that included debridement of his burns, a sterile process that involves scrubbing his flesh with a sponge resembling a Brillo Pad. Fifteen years later, his own hospitalization was part of what helped him form a friendship with Carpenter. Kyle had been at Walter Reed for more than a year when he first met Johnson, who would work with him as his occupational therapist. Before meeting Carpenter, knowing only what he could guess from the chart, Johnson anticipated someone frail and with poor mobility, and perhaps lacking in motivation. To his surprise, Carpenter walked into his clinic wearing gym shorts, ready to get to work. Carpenter and Johnson were both from South Carolina. Both were Gamecocks fans. There was plenty to talk about. One of the subjects was pain. Johnson explained to Carpenter that a position of comfort is a position of contracture, and that it prevents functional independence. He needed Carpenter to know that pain is a necessary part of recovery. The two spoke a lot about Carpenter’s prosthetic eye. 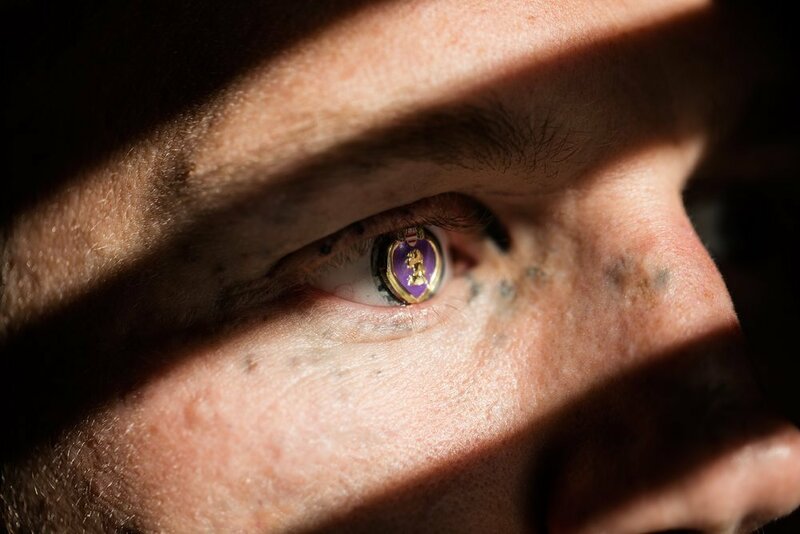 For his first one, Carpenter asked if an image of a Purple Heart could be placed where the pupil would ordinarily be. The prosthesis team initially told him that this was impossible—and then found a way to do it, giving him the eye as a surprise. Dr. Richard Auth was in charge of Kyle’s facial reconstruction. Because of the array of injuries to Kyle’s face, the team relied on a variety of imaging technologies, including magnetic resonance and 3D spiral multi-slice. The scarring and missing tissue and bone meant that the skin on Kyle’s face had to be stretched before acrylic teeth could be implanted into his mouth. Each time Auth met with Carpenter’s mother, she expressed the hope that she hadn’t lost her son’s smile forever. Mold after mold was made and refined. In the operating room, Auth kept a picture of Carpenter before his injuries. He and his team were determined to give him back his smile. Carpenter began calling her Dr. Julie. She helped him regain some use of his right hand. It was all about the small successes for Carpenter, she said. Her favorite moment was when he scratched his own nose for the first time. His smile was beautiful, she remembered, even with missing teeth. As Carpenter dedicated himself to his recovery, Nick Eufrazio’s friend Tiffany Aguiar finished college and earned a commission in the Marine Corps. In August 2012, she graduated from officer candidate school as a second lieutenant. The first salute is a tradition among Marine officers: they render the honors to a service member or veteran whom they respect and admire. Tiffany had hoped Eufrazio would be her first salute, but owing to his injuries and ongoing therapy he remained incapacitated. So Carpenter stepped in. He had by now regained much of the use of his right arm. Standing in front of the Iwo Jima Memorial, just beyond Arlington National Cemetery, Carpenter and Aguiar faced one another. Both were wearing their dress blues. Carpenter’s Purple Heart was pinned to his breast. 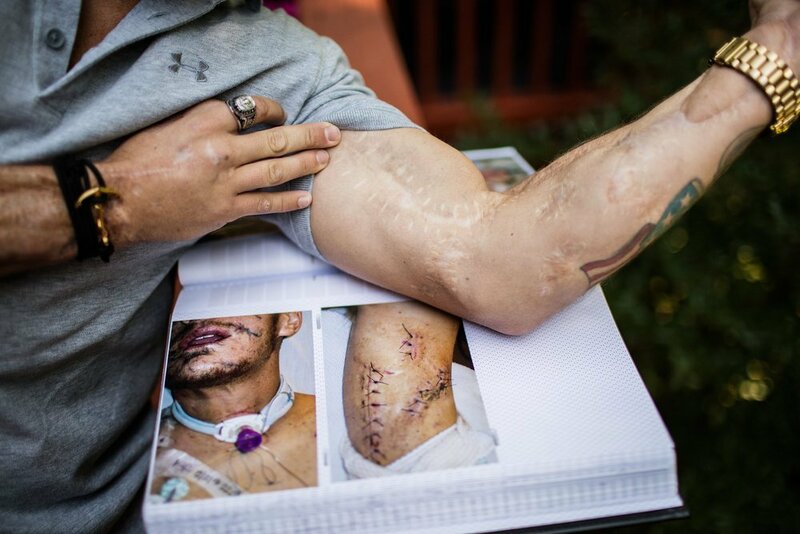 In his left arm he held a photograph of Nick Eufrazio. He raised his right hand to the brim. Robin Carpenter circled the granite island at the center of her kitchen. Then she looked out a window, stared at her phone, and wondered where Kyle was. She had been told that the President of the United States was about to call. Kyle wasn’t answering. At last he walked in. “Does anyone have an iPhone charger?” his mother remembered him saying. 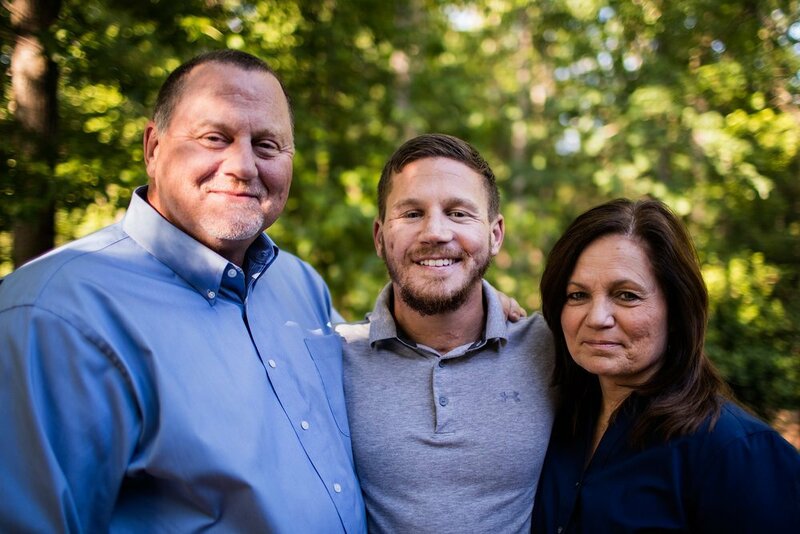 On June 19, 2014, William “Kyle” Carpenter was awarded the Medal of Honor. During the ceremony, Carpenter’s occupational therapist at Walter Reed, Erik Johnson, noticed something different about his appearance. 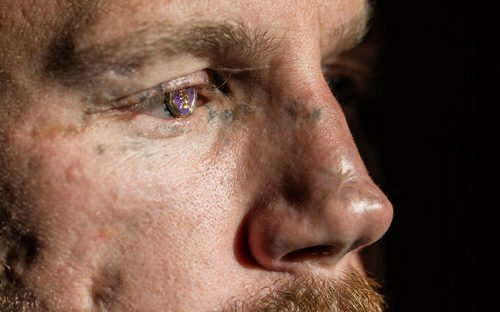 He was wearing an ordinary prosthetic eye, not the one with the Purple Heart pupil. To Johnson, the switch seemed symbolic: Carpenter was no longer defining himself in terms of his wounds. At the White House, Carpenter stood among those he had fought alongside—both in the hospital and on the battlefield. When the Medal of Honor was clasped around his neck by President Obama, Carpenter was with his family, his friends, his squad, and nearly all of his medical team. MARINE. MEDAL OF HONOR RECIPIENT. SPEAKER.